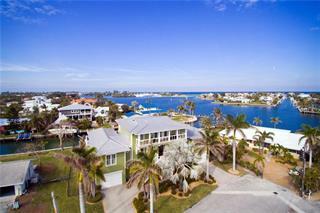 Listing courtesy of Island Real Estate-Anna Maria. Ask a question about 517 Key Royale Dr, or schedule a tour. 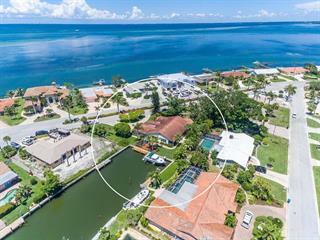 Water front home with panoramic views of the intercostal has everything you would want in a vacation or permanent home in Florida. With 3,170 sq. under A/C and 4,348 sq. 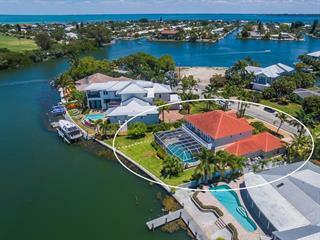 ft. under roof, the 5 spacious bedrooms and 5 exquisite baths, 4... more. of which have both tubs and showers, the wide open floor plan all give you all the space to entertain family and friends. Water views from living room, dining room kitchen and All but 1 bedroom. Only 4 blocks to the sugar-sand beaches. 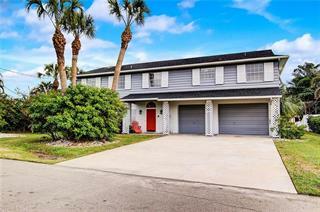 Viewing the magnificent sun rises and sun sets over your tropical back yard including a pool, spa, beautiful bayou, private dock to fish off or to hop on your own boat to keep on the lift in your own backyard! 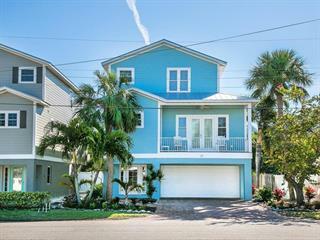 No bridges to Tampa Bay so within minutes you are in the pristine waters of the Gulf of Mexico. Go by golf cart, car, free trolley, bicycle or walk -you are only a few minutes away from shopping restaurants and of course the beach. Offered Turnkey furnished, built in 2006. New Dock May 2017 and New Roof 2018! 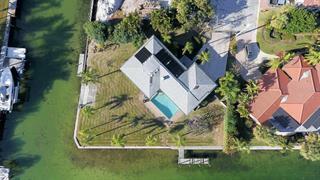 View the virtual tour then ask your realtor to set an appointment to see this fabulous water front home.